Making this a sticky so that it doesn't get lost 'down the list'. I went to add the location of the new F&W cafe this morning, and i was a bit puzzled to see that the old one wasn't on there! Now there is no way i would have missed that, i remember putting it on as one of the first places, i also noticed that monmouth appeared to have only recently been added, again, i wouldn't have missed them off! I am worried that someone has been deleting entries, can people just have a quick look and see if anythings missing, I thought Gwilym's coffee cart used to have several locations listed for time of day etc.. too. That's so bad. How petty do you have to be to do that. Grr. 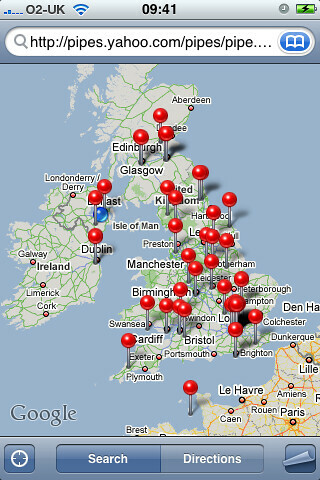 It's been a long time coming but I've started releasing test of my iPhone app into the wild. 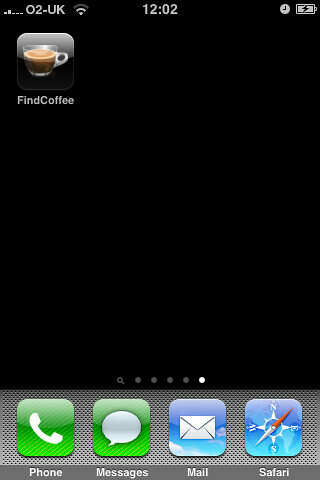 Basic for now, but does what we need, coffee locations on iPhone. 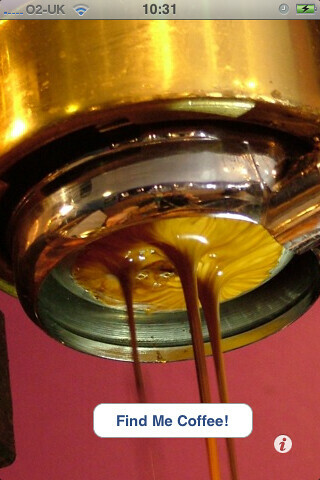 It's pulling them from exilecoffee.com at the moment which has a clone of the map info as of last week, I couldn't figure out how to get it to pull the live info from the google map though, but maybe I will. Anyone want in on the test? ooohhhh looks cool, would love to give it a go, do you need a jail broken iPhone though? and can it tell me how far away each place is? Thanks guys. It'll work on any iPhone or Touch Jailbroken or not. But as it's still a beta release its not in the App Store yet. If you want to give it a try DM me, or email, your UDID and email address and I'll add you to my devel account and email you the application. It's perfectly legit this way too btw! Yes, you can find out how far you are, just like any other marker in the Maps app, there's still a LOT to do to it and once iPhone 3.0 is released it lets me do new things by embedding the map and using custom markers etc. You can also find out your device’s UDID using iTunes 7.7. or later. To do this, connect your device to your Mac and launch iTunes. In iTunes, select your device in the ‘Devices’ section and navigate to the Summary tab. Click on the Serial Number label to reveal the Identifier field and the 40 character UDID. Press Command+C to copy the UDID to your clipboard.